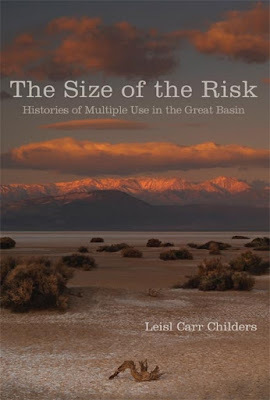 Leisl Carr Childers’s book appeared at an opportune moment, just as debates over federal management of western lands roiled the national news. The takeover of the Malheur National Wildlife Refuge in Oregon, the armed standoff over grazing rights at Cliven Bundy’s Ranch in Nevada, and the ensuing federal criminal prosecutions highlight the larger critique of federal authority in the West. Two-thirds owned by the federal government and perceived as an unpopulated wasteland that defied Congress’s raft of land disposal acts, the Great Basin is, in Carr Childers’s estimation, the “bellwether for federal land management policy” (p. 7). She explores how “multiple use” emerged in the twentieth century as a way to give the nation’s unclaimed public domain a human purpose, utility, and identity separate from its ecology. This book is not just a primer on land management policies—although it certainly provides outstanding coverage of that—but one deeply rooted in cultural and environmental history, using the tools of oral and public history to trace the intersecting activities of people and their different land uses as these federal policies evolved over time. Multiple-use management begins with the 1934 Taylor Grazing Act that allowed western ranchers to continue their “accustomed use” of the range without purchase. Having already developed their own water sources and rights, the creation of grazing districts legitimized ranchers’ activities and made the surrounding public range their liminal property. Ranchers reluctantly acceded to the political organization and fees, assuming their accustomed use rights would endure as the activity best suited to these arid lands. At the same time, progressive land managers saw grazing as just one of many possibilities, a stop gap until higher uses (or disposal) of the land occurred. Ranchers, then, assumed an unseen risk in a policy world dictated by different visions of their land and a belief in use for the greater good. The bulk of Carr Childers’s book describes the size of that multiple-use risk for Great Basin ranchers, demonstrating how grazing lost its primacy to other uses overseen by the Bureau of Land Management (BLM). She humanizes this discussion with stories of real individuals and ranch families caught up in the transformation of their world. In the mid-twentieth century, military bombing ranges, chemical weapons depots, and nuclear testing sat alongside and then replaced ranchers as a higher national priority use of their grazing lands. Nuclear testing inordinately affected grazers, steeling their mistrust of and resistance to federal officials, as well as to other forms of multiple use. Range disposal through suburbanization and conservation withdrawals for wilderness, national parks, wildlife refuges, wild horse management, and outdoor recreation areas each created new identities for and uses of public lands that impinged on grazers. Carr Childers’s explicit focus on how locals shaped (and were shaped by) changing uses that subsumed their interests to national priorities clarifies, on a grassroots level, the 1970s sagebrush rebellion and the near-universal animus toward the BLM—attitudes that have stirred the Great Basin’s political landscape since. The Size of the Risk is a significant contribution to the study of multiple-use management. Much of the literature on the Forest Service tells the story of multiple use as an administrative paradigm developed to accommodate a variety of uses without initially diminishing timber production. Childers explains how multiple-use management emerged without the guiding hand of a federal agency. Indeed, she demonstrates how the Bureau of Land Management and ranchers alike struggled to accommodate new demands on the public lands. Multiple use, Childers writes, “began by default, as a means to ameliorate the amount of land that seemed to be going to waste,” but it became “an ideology, a justification, a rationale touted by public lands users and management agencies alike to protect particular enterprises or favored activities” (7). As Childers makes clear, multiple use has always provided an open door for and a justification of diverse land uses, but it has never provided clear normative guidelines for how to balance those uses.